NCover could include or exclude attributes, assemblies, files, methods, and types at runtime by using regular expressions, as specified in the Project Options of the Explorer, or on the NCover Console command line. 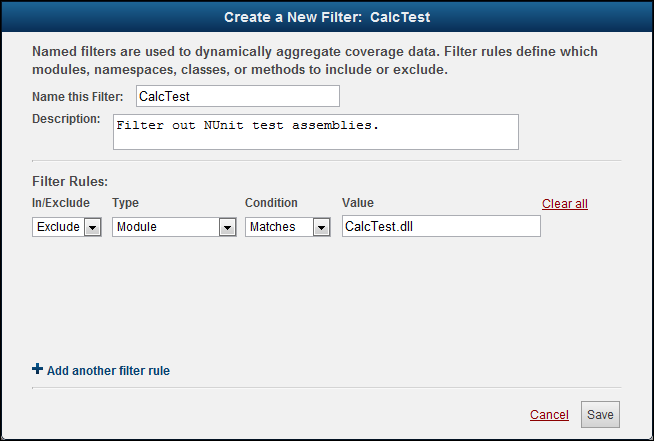 The runtime include/exclude functionality of NCover 3 has been integrated into Code Central's Filter Coverage. Pre-coverage filtering is configured on the Pre-coverage filter tab of each project.